the Bistro and dining facilities. Bus tour groups are welcome and booking is recommended. The adjacent Dobell Room is available for private functions. It also serves to accommodate Bistro overflow or larger groups. If required, group reservations in the Bistro-Dobell Room are available. The Dobell Room is able to accommodate approximately 70 people for private functions. 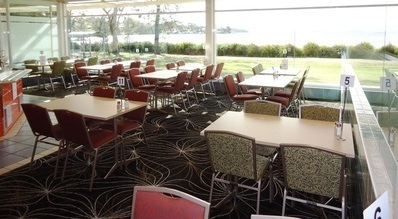 Both the Bistro and the Dobell Room command excellent waterfront locations within the club, giving magnificent Lake views, and idyllic settings for that special occasion. 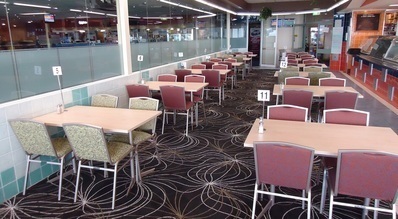 We feature a wide selection of both Australian and Chinese cuisine at competitive prices! Club catering services can provide customised menu selections to suit specific functions, on an extremely flexible basis – from morning / afternoon teas to light finger food, smorgasbord or set-menu options.